JACK StudyAbroad has been appointed by most Australian universities as their official representative in Singapore. We can advise you on behalf of the university and certify your documents so that you will enjoy a more smooth application process when you apply to these universities. In most cases, we are able to help you to apply for application fee waiver too. The University of Sydney has a reputation for excellence. Australia’s first university, it is consistently found in lists of the top 50 universities. Sports, education, veterinary science, architecture and languages courses are all ranked first in Australia. Students enjoy forward-thinking teaching and research in first-class facilities, and graduates are considered among the most employable in the world. UNSW is a world top 50 university, with a reputation for excellence in teaching, innovation and research. Based just outside the bustling city of Sydney, the university has a large and diverse international population. Students enjoy a rich experience within state-of-the-art facilities. UNSW’s strong links to industry mean that graduates have outstanding employment prospects. 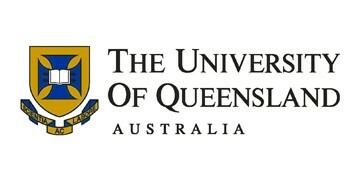 The University of Queensland is a global research and teaching institution, found in the top 50 universities in the world. A heavy emphasis on innovation means that the university finds itself at the forefront of research advances in medical science. The business, engineering and life-science departments are also world-class. The university has received more awards for teaching excellence than any other Australian university. Based in Victoria, but with a strong international outlook, Monash University is in the top 1% of global universities. Monash has a strong emphasis on research and boasts one of the most extensive range of courses in Australia. The university has achieved a reputation for outstanding achievement; particularly in commerce, law, IT, chemistry, pharmacology and medicine. UWA is a first-class institution which is popular among local and international students alike. A member of the ‘Group of Eight’ research universities, it offers world-renowned courses in many disciplines including earth science, engineering and physiology. As well as the outstanding teaching facilities, the university campus is home to a thriving extra-curricular programme of arts, sports and cultural clubs. The Australian National University is the highest ranked Australian university, with an exceptional global reputation. With a heavy focus on research, the university boasts more Nobel laureates among its staff and alumnae than any other Australian university. ANU is situated in the capital, Canberra, and has a vibrant campus life. Students enjoy excellent career prospects and unparalleled opportunities for post-graduate study. Ranked in the top 1% of universities in the world, the University of Adelaide is a truly first-rate institution. It boasts five Nobel laureates and over 100 Rhodes scholars among its staff and alumnae. Renowned particularly for its schools of medicine and dentistry, the university attracts a range of students from around the globe. The university’s main campus is in the heart of Southern Australia’s biggest city, offering a rich and varied student experience. Macquarie University is a vibrant, innovative institution which is rated highly by students and ranks in the top 2% of global universities. It is particularly celebrated for its business, accounting and finance courses. Situated a short journey from the centre of cosmopolitan Sydney, Macquarie is a beautiful, open campus with state-of-the-art facilities. RMIT is world-renowned for its vocational, applied and professional education. RMIT excels in engineering, architecture and design: consistently ranking highly in global league tables for all these areas. RMIT’s focus on research has earned international acclaim. Situated in the lively city of Melbourne, students can easily access all the arts and culture this cosmopolitan city has to offer. Curtin is the largest university in Western Australia and is ranked in the top 1% of universities. Vibrant and diverse, Curtin welcome students from all over the globe, and students enjoy a rich campus life. An emphasis on practical learning and links with industry mean that graduates are considered highly employable. Curtin’s mining and engineering departments are particularly notable: gaining international commendation. A university with a strong reputation for research, Griffith has received particular commendation for its tourism and hospitality courses. Griffith prides itself on the quality of the teaching it offers across over 200 subjects: and has been awarded five stars for educational experience. Located on the beautiful Gold Coast, students could hardly ask for a more picturesque location. A five-star university with a strong emphasis on cutting-edge technology and innovation, Deakin University boasts the highest levels of student satisfaction in the state of Victoria. Deakin offers first class teaching, particularly in business, IT and nursing. Deakin is ranked highly for skills development thanks to its strong links to industry and emphasis on practical learning. Situated in Melbourne, students enjoy access to a wide range of extra-curricular clubs, culture and activities. Murdoch University boasts superb facilities and is respected for its high standard of teaching and research, especially in veterinary and equine studies. An emphasis on hands-on learning means that students gain practical skills as well as academic instruction. Murdoch has lively student community. Its strong links to other institutions give students a truly global experience and outlook. The University of South Australia has been voted in the top 25 of young universities in the world. The University of South Australia offers a campus-based student lifestyle in Adelaide: voted Australia’s most liveable city. USA has a strong emphasis on enterprise; combining world-class teaching and research with links to industry to give students a rounded experience. The university is noted for its strengths in business, marketing and nursing. With more teaching awards than any other Australian university, the University of Tasmania is in the top 2% of all universities worldwide. UTAS offers an extremely high calibre of education across a breadth of disciplines, and in particular specialises in medical research, maritime studies and ocean science. With a bustling extra-curricular timetable, students enjoy a wide range of clubs and activities all within the beautiful and unique setting of Tasmanian island life. The University of Newcastle offers internationally respected courses across a range of disciplines and is ranked in the top 1% of global universities. A focus on collaborative research means that Newcastle consistently finds itself at the forefront of innovation. Teaching at Newcastle has a contemporary, practical approach which leads to excellent graduate employment rates. One of the highest ranking modern universities in Australia, the University of Wollongong boasts superb facilities and an outstanding global reputation. It is a research-intensive university which is considered to be in the top 1% of universities worldwide. The UoW has very strong international links, including a campus in Dubai, and offers over 340 different courses. La Trobe University is one of Australia’s top ten universities, offering world-class teaching, research and innovation. La Trobe is renowned for the standards of its academics but also for its emphasis on graduate employability. It has state of the art facilities, including its celebrated centre for agricultural biosciences. With seven campuses in Melbourne and Sydney, La Trobe students enjoy access to Australia’s most lively cities. Established in 1991, Edith Cowan is one of Australia’s fastest growing higher education institutes. Voted in the top 150 young universities, Edith Cowan’s teaching has been awarded five-stars for eleven years in a row. Its sports science faculty has attracted particular commendation: ranking among the best in the world. Student at Edith Cowan benefit from strong pastoral care, innovative teaching and an active extra-curricular programme. Western Sydney University is a modern institution with a fast-growing reputation for offering some of Australia’s best teaching and learning facilities. It has been rated a maximum of five stars for teaching in architecture, agriculture, creative arts, engineering, medicine and humanities. Western Sydney University has a global focus and is committed to innovative research into some of the modern world’s most pressing issues. Just 10 minutes from the centre of Melbourne, Swinburne University of Technology offers a state-of-the-art learning environment and a desirable student lifestyle. QS ranks Swinburne one of the top art and design schools in Australia and the world. It’s also ranked top 100 in the world for Civil Engineering by ARWU. The top-ranked young Australian university, the University of Technology, Sydney is one of the world’s top 250 universities. As well as leading teaching and research, UTS students enjoy an unparalleled location in the heart of Australia’s biggest city. With an industry-focused, practice-oriented approach, UTS students gain hands on experience alongside rigorous academic study. Situated in the Australian capital, The University of Canberra boasts strong links to government, industry and business and has one of the highest rates of graduate employment in Australia. The University welcomes a vibrant student community from around the globe. A packed events schedule enables students to participate in a range of activities outside of the classroom: sports, culture and arts. In the top five for graduate employability in Australia, and in the top 2% of all universities globally, Charles Darwin is a relatively new institution but already has an excellent reputation. CDU has very close links to other institutions around the world and draws an international student body from both Asia and beyond. Charles Darwin is noted particularly for its strengths in medicine, nursing and health. Southern Cross University is a progressive and young university with campuses throughout Australia. With nine areas of research considered well above world standards, Southern Cross’ reputation for outstanding achievement is growing. Southern Cross scores a maximum of five stars in graduate employment and graduate salary. International students are well catered for, too: the university scores top marks in student barometer tests. Perhaps the world’s best-known school of culinary arts and hospitality, Le Cordon Bleu offers courses in hotel and restaurant management, food entrepreneurship, gastronomy, tourism, and event management, as well as cookery. Graduates go on to have illustrious careers in some of the world’s finest establishments. Students at Le Cordon Bleu’s Australia can take advantage of the institution’s reputation whilst enjoying life in some of the most cosmopolitan cities on earth. The PGA IGI is situated on Australia’s idyllic Gold Coast at the Sanctuary Cove Golf and Country Club. The institute offers practical golf training with PGA professionals, but also courses in administration and golf management. Recognised globally, graduates from the PGA IGI enjoy excellent employment prospects both on and off the course. The International College of Management, Sydney is renowned for its event and hospitality management programme, which boasts the highest graduate employment rate in its field. The campus is situated overlooking Manly Beach: voted Australia’s best beach. Students are taught by industry experts and courses include 1200 work-based placement hours, meaning that everyone gains valuable experience and practical skills. Are you in Singapore? You are eligible for our free services. We are the overseas university application centre in Singapore. Fully funded by universities, our services are free for students in Singapore. Contact us to get free advice and assistance on your application, visa and accommodation. Which of these describes you best? How did get to know about us?